International independent development company Tower Studios will be attending Gamescom on the 21st-25thAugust and will be available to discuss the company’s ground breaking game publishing deal with telecoms giant China Mobile in Asia ahead of its Autumn 2018 release. The company is the creator of sports game Sociable Soccer. It is a fast paced arcade style cross platform football game from the designer of Sensible Soccer. It lets players pick a club to manage from six national leagues (China, England, Spain, Italy, Germany and France), then build and upgrade their team with the top player cards from all six leagues. They will then be able to compete in online leagues against other fans across the world. The mobile version of the game will buck industry trends by publishing in China first, before it releases in the West. Tower Studios’ partnership with China Mobile – a billion dollar valued company with over 900m subscribers – and Crazy Sports – a Beijing publisher which currently holds the rights to the Chinese Super League (CSL) – will enable it to enter the Chinese domestic market in Autumn 2018. It also means that Sociable Soccer features the official CSL license. This means that players across the world will be able to take control of players like Tianjin Quanjian’s Belgium playmaker Axel Witsel, Shandong Luneng’s Italian striker Graziano Pelle and Guanzhou Evergrande’s Brazilian forward Talisca in game. How an independent development studio managed to carve out a deal with one of the biggest companies in the world (and how the DIT and games industry trade body Ukie helped it to happen). Why the company has taken a “China First” strategy and to provide advice for developers looking to build relationships within the market. Where this cross-platform game is headed next on mobile, PC and console over the coming year. Tower Studios will also be showing a playable build of Sociable Soccer featuring the official CSL content. 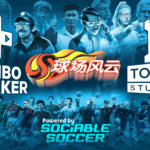 “Tower Studios is delighted to have signed a deal with China Mobile and Crazy Sports to get the Sociable Soccer ball rolling,” said Jon Hare, CEO of Tower Studios. “Along with our development partners Combo Breaker, we’ve devoted nearly 3 years to building a light, accessible alternative to the likes of FIFA and PES across all platforms. We’re delighted that a company of China Mobile’s stature is the first to have seen our vision and backed our aims”. Platforms: Mobile, PC and console. 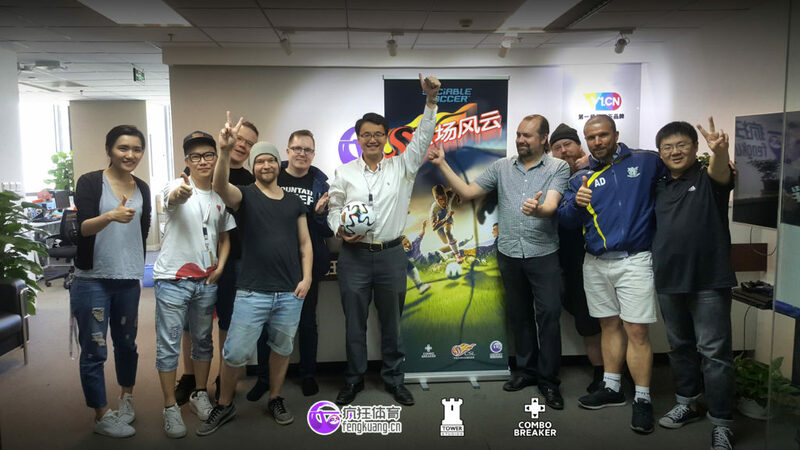 Crazy Sports is a Beijing based video game publisher. The company, which specialises in publishing sports titles, secured the rights to create online games using the Chinese Super League (CSL) license for six years – growing a new revenue stream for the CSL in the process. Crazy Sports’s team includes the creator of hit Chinese football games FM Worlds, Fantasy World Cup and the recently released Football Dream Team. China Mobile is the world’s largest telecommunication provider. The company provides mobile and media services for the Chinese market. It has an estimated value of over $1,5 billion dollars and over 900m subscribers. 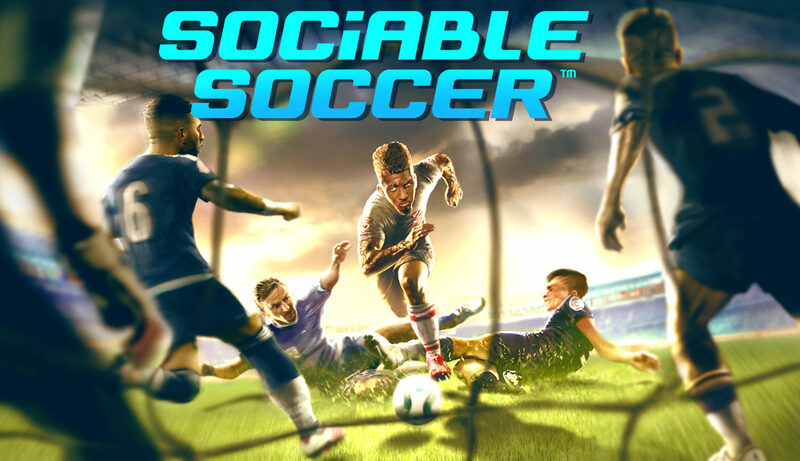 Sociable Soccer is being published with the assistance of Migu Interactive, the company’s entertainment content subsidiary. Yes we know, but when the PR piece were written it hadn’t happened yet. He should have stayed in China to be a licensed Sociable Soccer player. Guess he missed out on a golden opportunity!